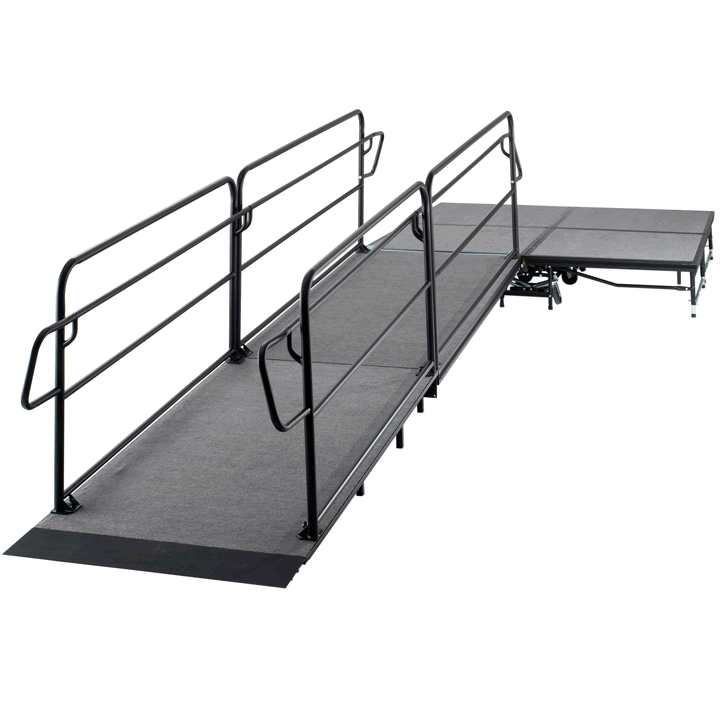 SICO® Stage Ramps are modular, mobile folding units that set up quickly and easily. Our stage ramps meet ADA requirements and are adaptable to each of our various stages. All SICO® ramps are carpeted and designed with a gradual incline of 1” per foot (8.3 cm/m) and they exceed the minimum width of 3’ (91.4 cm). Any stage over 30” (76 cm) also has a landing or turn-a-round platform. 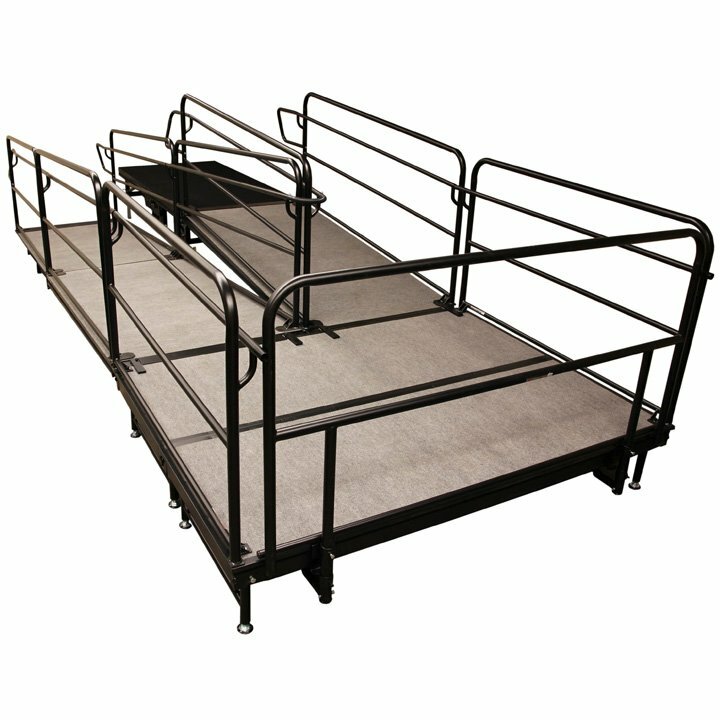 Each ramp package comes equipped with side guardrails that include enter/exit handles, handrails and an added rail at the bottom of each side to keep wheel chairs from slipping off the side of the ramp.